Update of my workstation 😋 in answer to the many questions about my apps & devices. 1. Piano – Yamaha Clavinova CLP330 digital piano. 3. 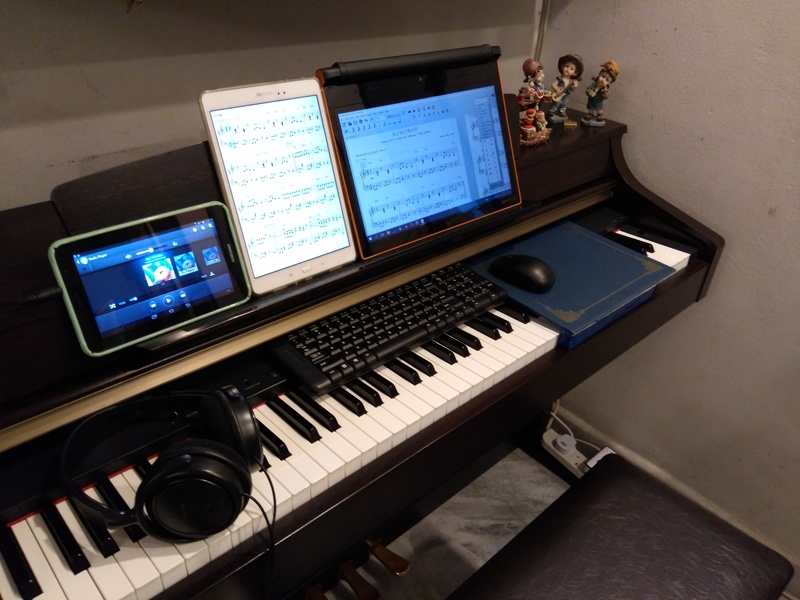 Tablet – Samsung Tab A – Musescore app displays my Musescore files…and turns pages for me, yay! 4. Media player – Samsung Tab 7 Plus. I use the Samsung music player, and T.C.audio apps, both of which can slow down the audio files, so that I can identify each note more accurately. T.C.audio can even transpose! 7. 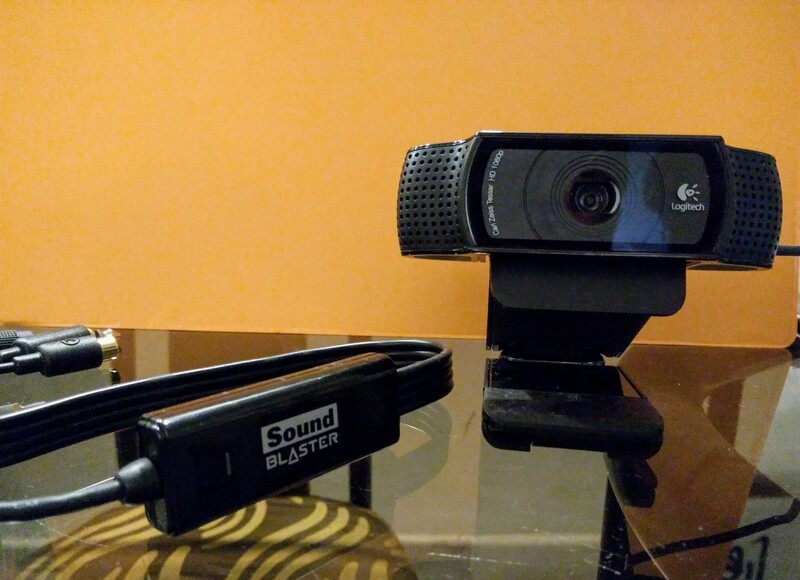 For recording audio – SoundBlaster cable connects my piano directly to my pc. Posted on July 23, 2017, in Uncategorized. Bookmark the permalink. 2 Comments. Your parents are very rich. Not really…my hubby and I bought these devices over the years. We’re very much into music…and tech, and these are our favorite “toys”- and tools. No expensive branded handbags or shoes in my wardrobe – I’d pick a smartphone over them anytime hahaha!